The Central Trade Unions congratulate the scheme workers working in various Government Schemes for their successful all India Strike and mobilisation today, 17 January 2018. 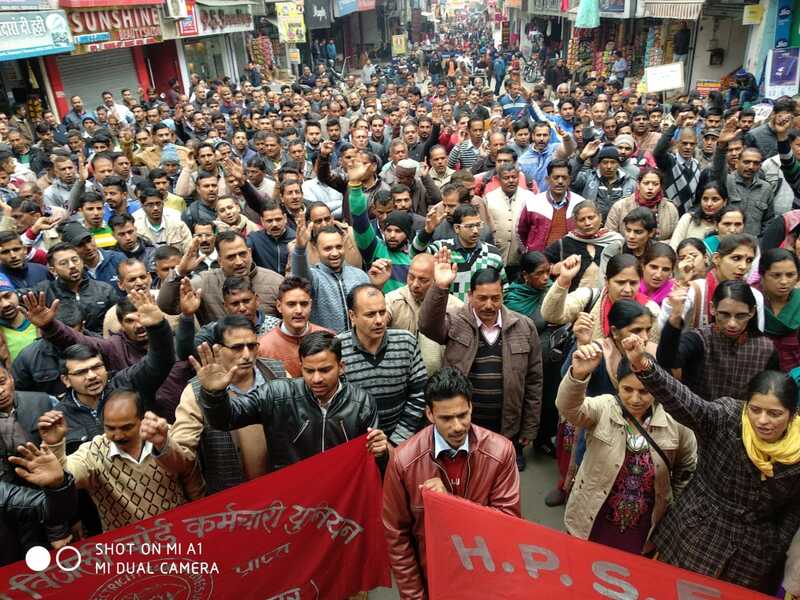 Nearly twenty lakh scheme workers came out on streets in demonstrations, rallies and dharnas at district headquarters across the county and submitted memorandum addressing the Finance Minister through the district authorities. 1. Implement the recommendations of the 45th ILC on scheme workers: recognition as workers, minimum wages not less than Rs.18,000 per month and social security including monthly pension not less than Rs.3000 to all scheme workers. 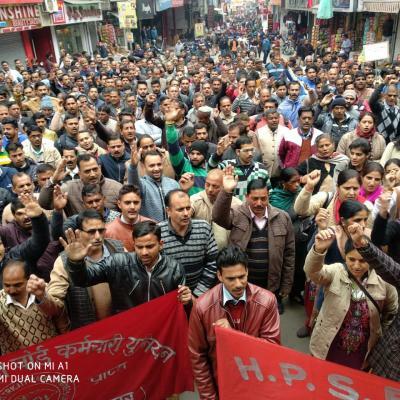 Give coverage of EPF and ESI to scheme workers. 2. 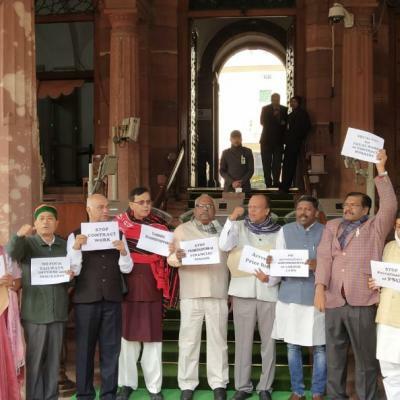 Adequate financial allocation in the Union Budget 2018-19 for the Centrally sponsored schemes including ICDS, MDMS, NHM, SSA, NCLP etc to ensure increase in wages for the workers to the level of minimum wages and universalisation of the schemes with adequate infrastructure and quality services. 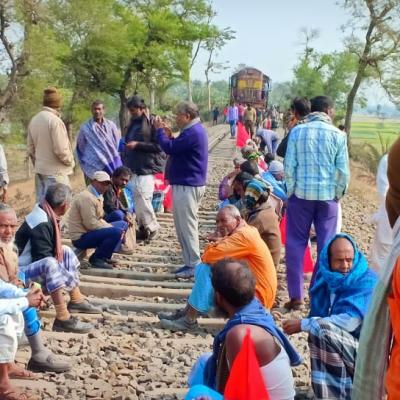 Nearly 60 lakh Scheme workers including anganwadi workers and helpers, mini anganwadi workers, ASHA workers, Mid Day Meal workers, NCLP teachers, small savings agents, workers under SSA, NRLM, MNREGA field assistants, par teachers, etc went on strike today. 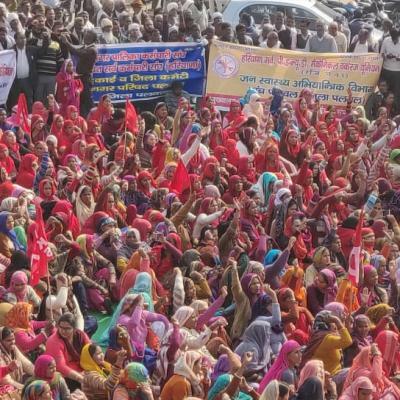 These grass root workers, majority of whom are women who deliver the services of nutrition, health, education and care are not recognised as workers by the government, who is their employer and paid a pittance in the name of ‘honorarium’ which is far less tahan the minimum wage. 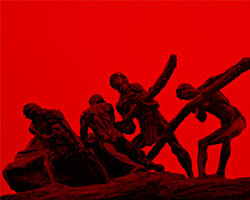 The strike was a total success in spite of the threat by the various governments. In many states the workers were threatened with retrenchment and wage cut of one week to a month wages for a one day strike. In Telengana one DRDO issued notice to the NREGA field assistants that their strike is against the sovereignty and integrity of the Nation! Apart from this the BMS, which has totally surrendered to the Modi government, has also tried to misguide the workers. 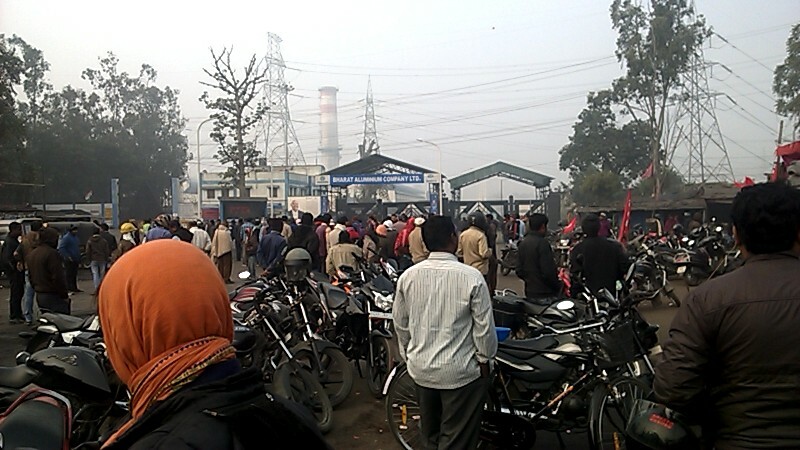 But the scheme workers belonging to the central trade unions, independent unions and even non unionized workers took part in the strike and also came out in demonstrations in Assam, Arunachal Pradesh, Bihar, Chhattisgarh, Delhi, Goa, Gujarat, Haryana, HP, Jharkhand, J&K, Karnataka, Kerala, MP, Maharashtra, Manipur, Meghalaya, Odisha, Punjab, Pondicherry, Rajasthan, Tamil Nadu, Telengana, Tripura, UP, Uttarakhand and West Bengal took part in the strike. 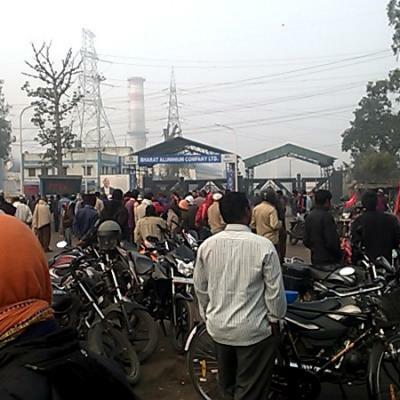 In Andhra Pradesh the strike will take place on 23 January. 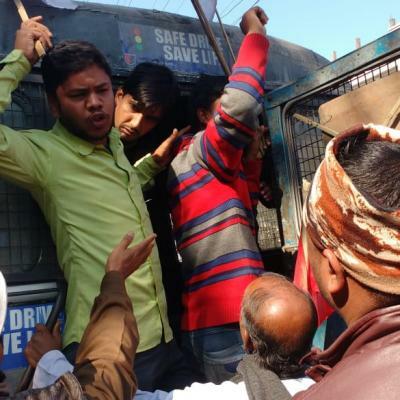 In various places the scheme workers held demonstrations in front of the camp offices of ministers of the Modi Government. In Karnataka, the scheme workers are having a 24 hours Padav in front of the four central ministers from the state. 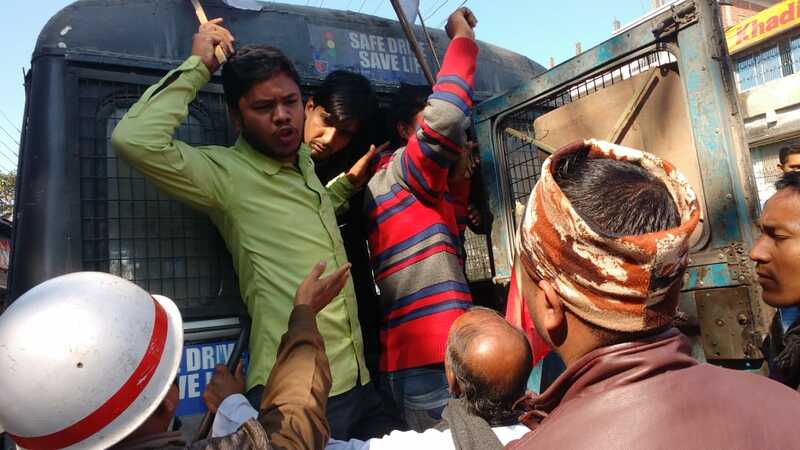 In Delhi, the scheme workers marched from Mandi house to Parliament Street where they were stopped by the police. The workers broke through the barricade and marched to Parliament Street where they held a meeting. 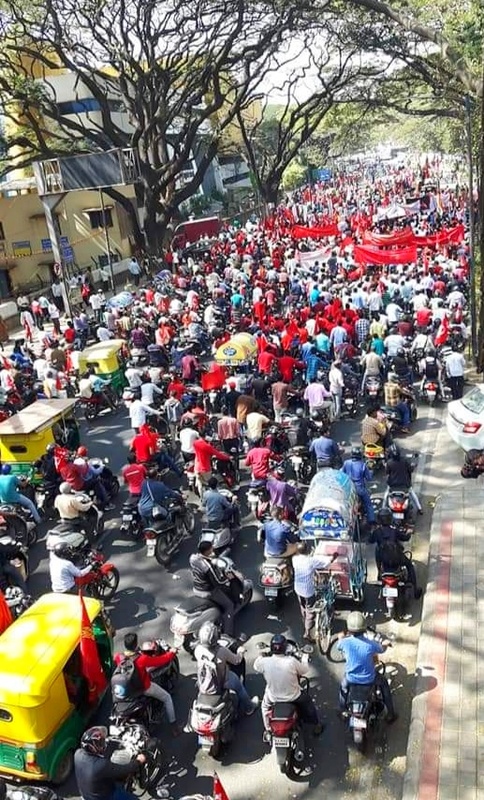 The march was led by leaders of central trade unions including Dhirender Sharma ( AITUC), Manjeet, Rajender(HMS) A R Sindhu, Usharani, Ranjana Nirula , Anurag Saxena (CITU), Santosh Roy(AICCTU), M Chourasya (AIUTUC). Later, the joint memorandum was submitted to the Finance Ministry. 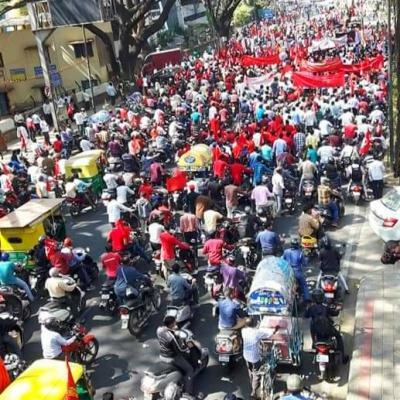 The future course of the joint struggle including indefinite strike and Padav will be decided after the Union Budget 2018-19, depending on the response of the government.